Oats Face Pack: Mix cooked oats with lemon juice and mash it well. Apply the mixture as face pack and massage the skin gently. 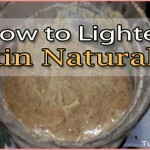 Keep it for about 20 minutes and rinse it off after it is dry. 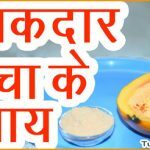 Turmeric: Mix turmeric along with gram flour and lemon juice and milk. Make a smooth paste and apply the paste on your face. You can scrub smoothly for a few minutes and then wash off. Tomato: Get a ripe tomato and squeeze the juice from it and mix with turmeric. Apply the thin paste over your face and keep it for 15 minutes. Rinse off with regular water. Orange Peel: Mix dried orange peel with yogurt and make a paste. Apply this mixture on your face and keep for about 20 minutes. Rinse off with cool water. Lemon: Get unsweetened yogurt and mix it with a few drops of lemon. Mix both these items to form a smooth paste. Apply it on your face and keep for 15 minutes. Rinse off with normal water.